Greetings, yat'e! My name is Anna Rondon, my Christian name. My Navajo name is (...? ), and at this time, I like to give you a presentation that is going to include the Southwest Indigenous Uranium Forum, how we're networking, and my second statement would be a statement read from our president, Peterson Zah, who is the leader of the Navajo Nation. 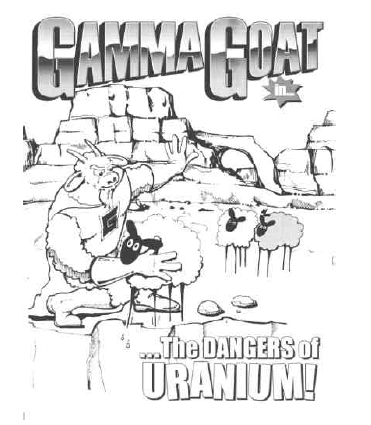 The history of uranium mining in the four corner's area of the U.S. is nothing less than a nuclear bomb being dropped on the Navaho people. Here are links to the current best coverage of what has happened. This is a work in progress, and more will be added as time permits. Today, the divide and conquer tactics of the nuclear industry are being directed at the Dineh people once again, as the NRC is currently pushing to allow ISL mining operations that will further pollute the drinking water of these people. Go to the urgent status page to find out how you can help. "The mining of uranium has taken a heavy toll on the Indian population in the Four Corners area. Not only did the Indians receive very little in the way of royalties for the extraction of the ore from their lands, but health and safety precautions in the mines were essentially non-existent.Mine operators and the U. S. government appealed to the patriotism of the local Indians to exempt them from conformance with labor laws. The miners wore no protective clothing and therefore carried the contaminated clothing home with them each day. They drank the water that seeped through the ore layers into the mines. The tailings piles were left in the open near the mouths of the mines to be blown over the land by the breeze. The radon (gas) released from these tailings was carried perhaps as far as the east coast by atmospheric currents. The tailings themselves were slowly washed down into the rivers and thus into the regional water supply. Despite efforts made in cleaning up uranium sites, significant problems stemming from the legacy of uranium development still exist today on the Navajo Nation. 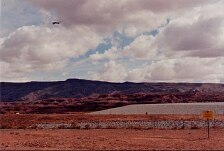 Hundreds of abandoned mines have not been cleaned up and present environmental and health risks in many Navajo communities. In addition to this, Navajo communities now have to face proposed new uranium solution mining that threatens the only source of drinking water for 10,000 to 15,000 people living in the Eastern Navajo Agency in northwestern New Mexico. This is the L.A. Times multi-series documentary of the Dineh people and the impacts that yellowcake has had on them. The photo-slideshow is worth watching. "It was like digging for buried treasure," the 80-year-old Blanding resident smiles, his eyes staring fondly into a distant chasm of nostalgia. 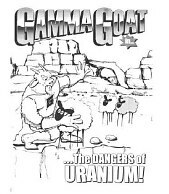 For decades, Shumway and his family burrowed deep into the uranium-rich Colorado Plateau, emerging triumphantly with tons of ore from which soft "yellowcake" would be extracted to feed the insatiable Cold War nuclear appetite of the U.S. government. 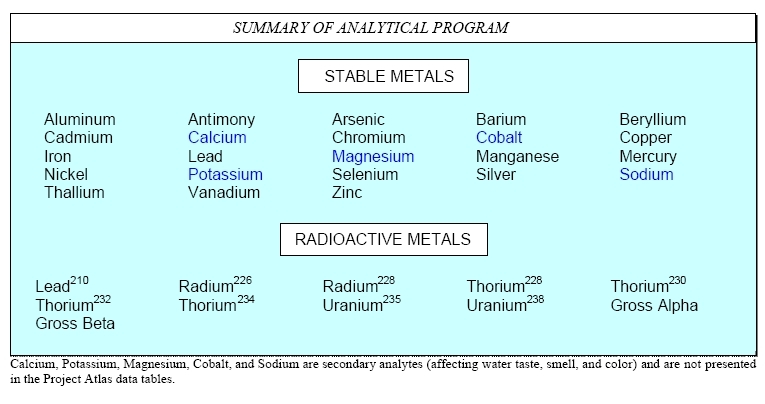 In August 2007, EPA completed a large study identifying 520 AUMs. In October 2007, EPA testified at a House Oversight and Government Reform Committee hearing followed by a meeting with select committee members to identify and respond to current issues raised by the Navajo Nation. EPA and several other Federal agencies are currently developing Five Year Action Plans to address AUMs and related issues.In June 2008, the U.S. Environmental Protection Agency, in partnership with the Department of Energy, the Bureau of Indian Affairs, the Indian Health Service and the Nuclear Regulatory Commission,finalized a five-year plan for cleaning up the legacy of abandoned uranium mining on the Navajo Nation. A copy of this plan can be found by accessing the link below under Site Documents and Reports or by clicking HERE. A web-feature was also created to highlight this accomplishment and that can be accessed by clicking HERE. Uranium! 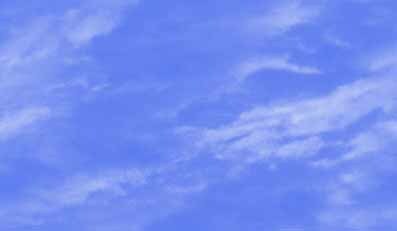 It was said to be a miracle metal, they called it essential to national security. The uranium ore could be found as yellow deposits in a matrix of sandstone rock. 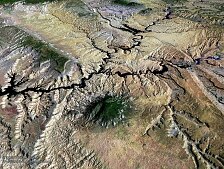 Deposits that triggered geiger counters were found in the hills above Cove, Arizona. 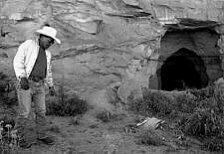 The mining companies hired Navajo Indian men from Cove to remove the ore from the ground, the first step in the industrial process that results in atomic bombs and nuclear power plant fuel. Please send comments to abalone "@" energy-net.org.